First African American woman to graduate from Temple University, College of Medicine (1912). She practiced General Medicine for 50 years and was recognized as an accomplished Surgeon. 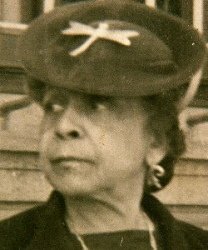 This pioneer became the first African American female Physician to teach a Nutrition Class in the Philadelphia, Pennsylvania Public Schools (1927), and the only African American female Teacher and Medical Doctor in charge of an Open-Window class for tuberlouclar children (1934).